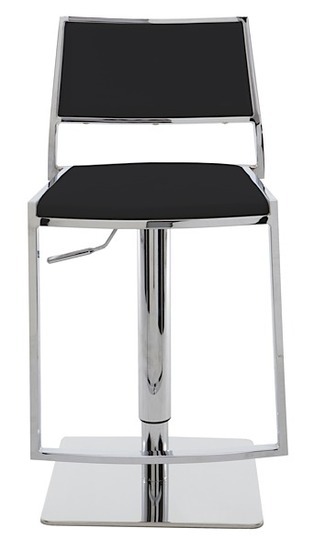 The Aaron Adjustable Stool swivels 360 degrees for optimum flexibility in use and adjusts easily from a counter height to bar height with a lever that operates a gas cylinder. The Aaron Adjustable Stool is made from hardwood seat frame with CFS foam and naugahyde upholstery that's both luxurious and low maintenance. A sturdy footrest and padded seat ensure lasting comfort. 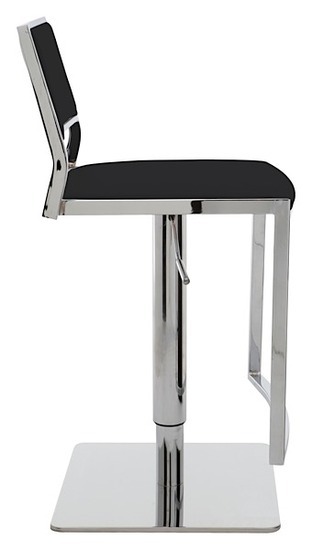 The polished stainless steel base of Aaron Adjustable Stool is built for years of dependable use. 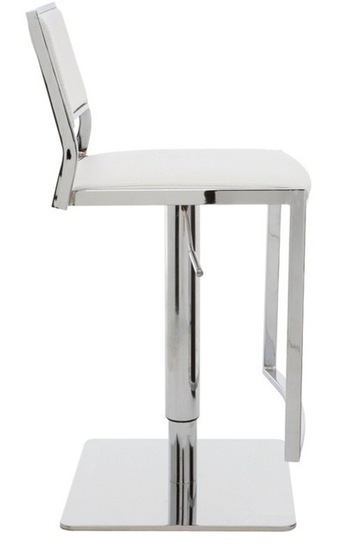 The incredible design and height adjustability makes Aaron stool suitable for a variety of settings. All colors (white, and black) are in stock, and ships in 24 - 48 hours.